A Cadet from Lincolnshire Army Cadet Force (ACF) has secured a place in the under 20s Great Britain (GB) team at the World Championships for Sprint Triathlon in Canada this August. Kayleigh Adams, aged 18, from Deeping St James who attends the Bourne Academy School in Lincolnshire, was selected for the team after taking part in a qualifying event held in Nottingham earlier this month. Sport has always been a part of Kayleigh’s life from a young age, joining a competitive swimming club at the age of 13. 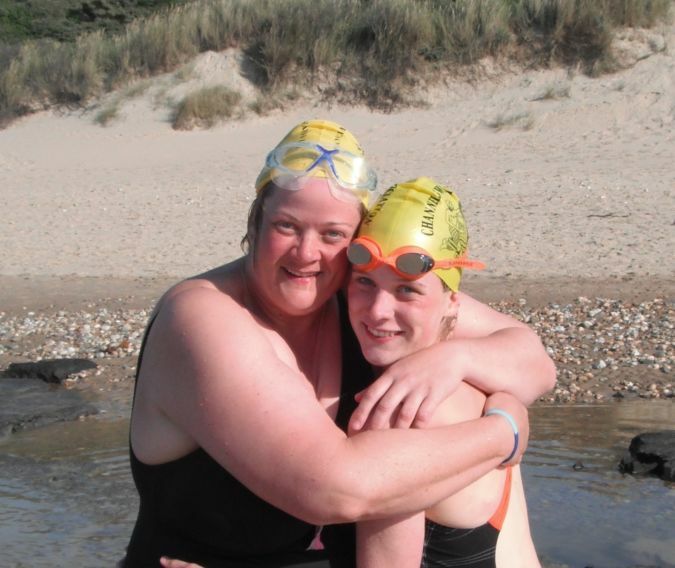 However, in 2010 she watched her Mum compete in her first Triathlon to raise money for a local charity and thought that it was something that she would like to try. Since that time she has been a part of the successful Lincolnshire ACF team that swam the English Channel last year, and has gone from strength to strength in fine-tuning her training techniques to be the best she could be when competing in a range of Triathlon competitions. Reflecting on Kayleigh’s success to date, her mum Clare Wookey, who is also an adult volunteer with Lincolnshire ACF, said: “Kayleigh did her first triathlon at Woodhall Spa in July last year. This event was organised as part of the One Step Beyond Triathlon Series. This event saw Kayleigh do a 400m swim in an outdoor pool, a 24km bike ride followed by a 5km run. She came second in this competition which was great considering she had only started to ride a race bike a few weeks before the event. There are three events that enable athletes to qualify to take part in the World Championships for Sprint Triathlon held in different areas of the country. Kayleigh took part in a qualifying competition in Nottingham held on 31 May. Kayleigh explained: “I woke up early on the day of qualifying as I was so nervous. A total of 20 athletes can go to the World Championships provided they are within 15% of their qualifying groups winning time so I knew the pressure was on. Kayleigh completed the750m open water swim in just over 11 minutes, the 20km bike ride in 34 minutes and the 5km run in just over 22 minutes. Her overall time was one hour 10 minutes and 12 seconds, placing her sixth in her age group but third in those that were trying to qualify. Photo: Clare Wookey and Kayleigh Adams after swimming the English Channel last year.